It was my fifth visit to Zambia, and Zena’s first. We had spent a week in central Zambia doing aid work with a group of Americans and now we were headed down to Livingstone to see Victoria Falls. And that’s when we almost died in a fiery bus crash. We boarded a bus in Lusaka, the capital of Zambia, early in the morning. Despite the fact that it was still dark, the bus station was crowded, noisy, and overflowing with a colorful variety of people. It’s almost as if the bus station was a small city within a city, although not the kind of city you in which you would want to spend a lot of time. The bus was full as we departed, settling in for the 6-hour ride down to Livingstone. The bus ride was quiet the first hour of the trip. 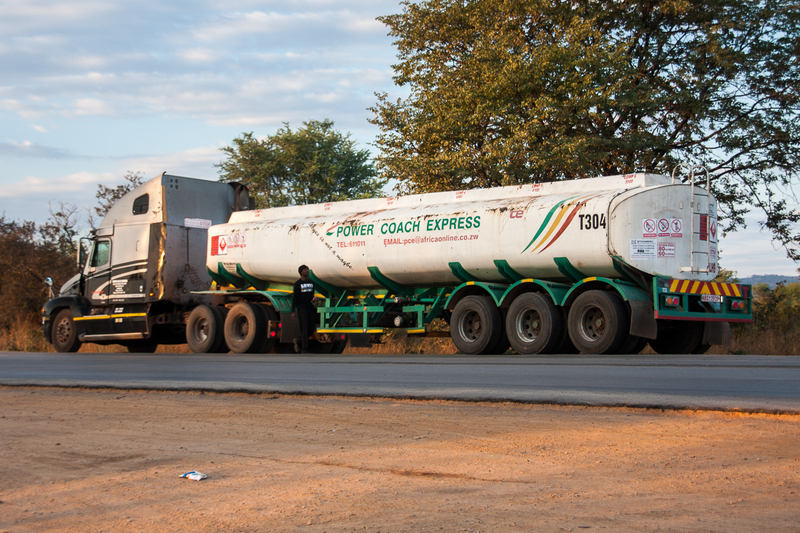 The busy roadway had two lanes headed south towards Livingston and two northbound lanes heading back to Lusaka. The lanes were separated by a central drainage ditch that was several meters wide and a meter deep. It was still dark outside and half the people on the bus were asleep. Zena and I were seated on the left side of the bus, nearly all the way in the back. I was next to the window so as the sun peeked over the horizon, I was busy taking pictures. The sunrise on the way down to Livingstone. As we careened towards what looked to be an inevitable impact, it dawned on me that we were about to die in a fiery explosion of diesel fuel. One of my Zambian friends had died in a bus accident a year earlier. Another of my Zambian friends barely survived when the bus she was riding in crashed into a river. Now we were about to be added to the list of Zambian bus accident fatalities. At this point, things were still happening in slow motion. The bus was still heading towards the drainage ditch, giving me a perfect view of the diesel tanker truck out of the left side window as we got closer and closer. After what seemed like an eternity, the front of the bus barely missed the diesel tanker and we finally came to a stop at the very edge of the ditch. Just inches from my window, the diesel tanker continued to turn and slowly pull away down the highway. Everyone in the bus let out a synchronized sigh of relief. The entire event had taken only 6 seconds. But things were far from over. Before our heartbeats had a chance to lower, the bus driver turned the bus back onto the highway and raced after the tanker truck at an alarming speed. For the next half hour we chased the tanker truck, passing traffic and swerving obstacles. It might have been comical to see a tanker truck racing down a crowded highway with a passenger bus in hot pursuit, except the humor was lost on those of us riding in the bus. The chase was so chaotic that passengers on the bus began getting car sick. Our pursuit finally ended 30 minutes later when we came upon a police checkpoint. The bus driver had apparently called ahead and notified the police, who had prevented the tanker truck from continuing until we could catch up. The tanker truck by which we nearly met our demise. As it turns out, the driver of the tanker truck was drunk. 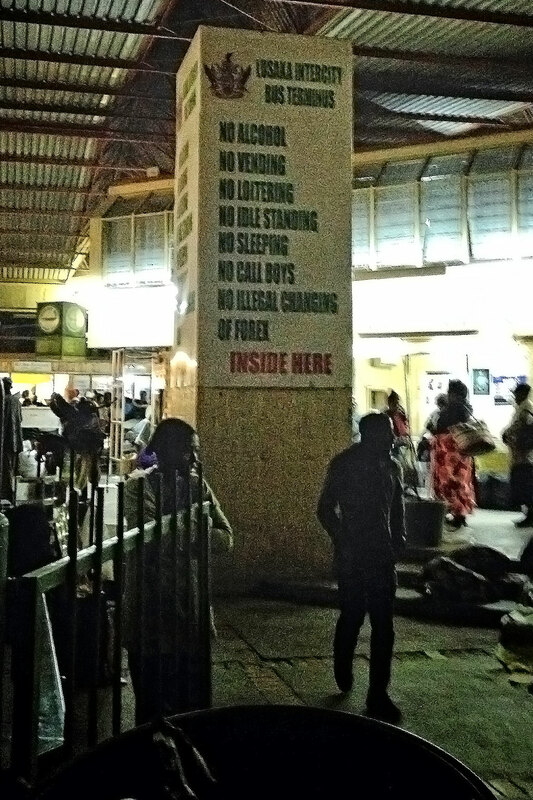 The Zambian passengers on the bus didn’t react kindly to this fact. In general, Zambians are friendly, good natured, and peaceable. In my six visits to Zambia, this was the first time I had witnessed Zambians get passionately angry. 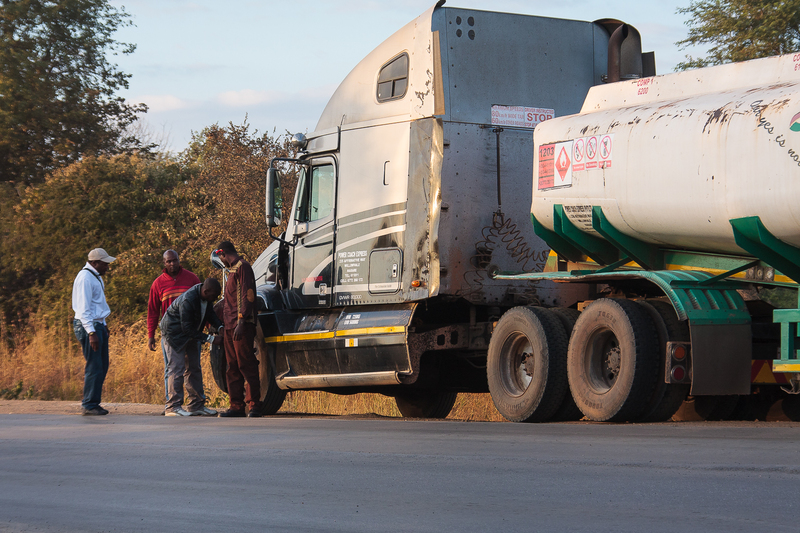 Ignoring the police presence, the passengers swarmed the tanker truck and attempted to drag out the truck driver. Naturally the driver resisted, since an angry mob was waiting on the ground outside, ready to exact vigilante justice on the man who had nearly killed us. Finally the police intervened, detaining the drunk truck driver. They tried to calm down the crowd, who were still demanding that the truck driver be immediately punished. While the police were distracted with the crowd, several passengers crossed over to the tanker truck and punctured the tires, ensuring that it wouldn’t be driven in case the police immediately released the truck driver. Bus passengers perform vigilante justice by puncturing the trucks tires. Eventually things calmed down. The police took the truck driver into custody and everyone got back on the bus to continue the final 5 hours down to Livingstone, which thankfully were uneventful. Reflecting back at how close we came to dying in Zambia, we must conclude that it just wasn’t our time to go. Have you experienced any near-death events in your travels? Sound off in the comments below. Nick, your trip sounds way worse than ours. At least our harrowing adventure only lasted half-an-hour.